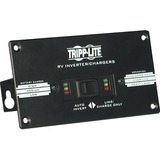 Tripp Lite's APS2012 DC-to-AC inverter with automatic line-to-battery transfer and integrated charging system serves as an extended run UPS, a standalone power source or an automotive inverter. 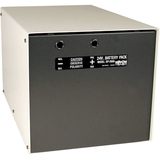 Supplies up to 2000 watts of continuous 120V AC power from any 12V battery or automotive DC source. OverPower TM inverter output feature temporarily provides up to 150% of the continuous output for 1-60 minutes, and DoubleBoost TM inverter output feature delivers up to 200% of the continuous output for up to 10 seconds, providing the extra power needed to cold start heavy-duty tools and motorized equipment. 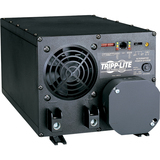 When hardwire AC input is energized, commercial power passes through to connected equipment and the battery set is recharged via 3 stage, 25/100 amp charging system. Supports an unlimited amount of runtime with any number of user-supplied batteries connected. 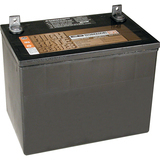 Extended Run UPS Configure as a UPS for long-term battery support of telecom systems, security alarms, computer systems and various other motorized and electronic loads. Standalone Power Alternative power source for use in off-grid, backwoods, alternative energy and export applications where commercial power is not continuously available. Automotive Connect to an automotive electrical system to run power tools, computers, electronic test equipment, home entertainment and other AC appliances in fleet service vehicles, over-the-road trucks, campers, RVs, minivans and more.